Westview Family Services has begun its intended work. 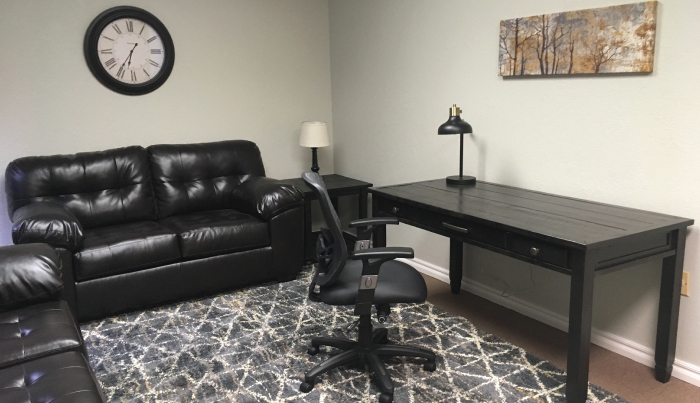 Counseling rooms have been constructed and furnished at its Oklahoma City office. Ron Bruner, executive director of Westview Boys’ Home, has announced that Westview team members have begun their counseling and family coaching work there. Westview Family Services is an operating division of Westview Boys’ Home. Chase Thompson, LPC, has begun seeing the families of young men who currently live at Westview Boys’ Home. He has also seen other families to provide counseling and visited with other families to help them make good decisions about whether to place their sons in a residential setting. Josh Birney, Westview’s manager of social services, has also begun to use the Oklahoma facility to interview families seeking to place their young men at Westview Boys’ Home.